We welcome new people at any level! If you are keen to get fitter, lose body fat and feel good from the inside out and you have been unfit for a while the words out of comfort zone might be too daunting…..
We're excited to announce the RowingWOD seminar will be coming to ChalkBox in Kent, UK on Sunday, April 28th. The single day seminar is perfect for anyone that wants to learn more about rowing, the machine and fitness. For me ChalkBox is all about health, thats why I founded Chalkbox almost 5 years ago. Our focus is to make people move better, feel stronger and create the biggest engine ever. At CHALKBOX we continuously strive towards offering the most complete strength and conditioning program we can for our members. Read here how we help you to progress on your fitness journey! At CHALKBOX we continuously strive towards offering the most complete strength and conditioning program we can for our members. This includes world-class coaching, goal setting work, and nutrition direction. Of course, this relentless pursuit requires us to have well trained, professional coaches who can not only cover the specifics of movements, coaching methodologies but also be present outside of class to help you with anything related to fitness. For those who don't already know, the crossfit open is a five week long competition which is open to every crossfitter from every box around the world. It's all inclusive and age is no barrier, scaled WODs and offered, everyone can enjoy the fun. The whole point of the open and of crossfit as a whole is to play an integral part in a great community challenge. If the answer is yes, it’s more than likely down to your inability to control your shoulder blade. If your shoulder blade shrugs up and forward and you then repeat this for hundreds and thousands of reps (at home, in the gym or at work or driving) then the shoulder may become impinged due to the shoulder being in a constant state of internal rotation. As a box we are participating in both Open events but this year we are approaching it a little bit different. 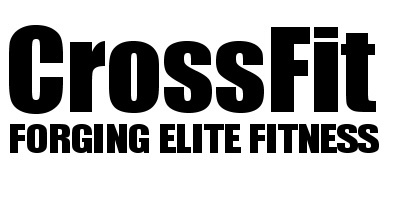 We have decided to make The CrossFit Open in October the main event and will use The Open event starting on Feb 21st as a true test of progress we are making in our training cycle Building Fitter Bodies in 2019. Get your winter gear NOW - first come first get. Sometimes though we forget to go back to the basics. We all have busy lifes, professionally and socially and we need to fit in all. Our daily life in general is based on survival mode experiences; quick meal between meetings, racing up and down for school runs, most of us are very used to live a life on a fairly high stress level. This means that our bodies react to this way of living. We will be tense, we will be tiered and yes we will be stressed. Why should you do the ChalkLift sessions? Managing inflammation to enhance recovery between workouts. Developing motor control to increase skills in the gym. Building strength that is critical to progression in fitness and sport.